In previous articles we studied, who, according to Daniel 7 and Revelation chapter 13 of Chapter beast sometimes inappropriate. According to the evidence that gave us the Bible itself, is a beast rising from the sea and a small corner of religious political power, which was and is the papal system! Many people are asking what it means No. 666 and accordingly tries to identify the beast. 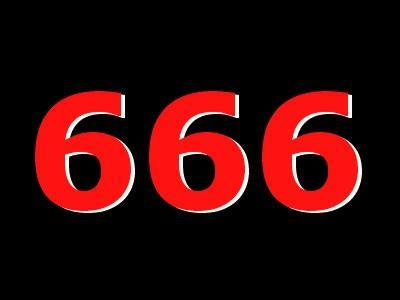 As we have already written but must agree to all identifiable characters that are mentioned in the Bible, and the number 666 is one of the characters - the number of the beast. We have already said that the beast is the papal system, not the individual believer, but the system that leads to false worship. One of the Pope's titles is "Vicarius Filii Dei" which translated means "son of God's representative". On the basis of one polling action at the catholic magazine readers said, "Our Sunday Visitor," from April 18, 1915 that: "The papal miter (correctly tiara) are engraved with the letters" Vicarius Filii Dei. " This designation, which is already itself is blasphemy, the name of the beast. Revelation 13.17 - so no one can buy or sell, unless it be a sign - the name of the beast or the number of his name. 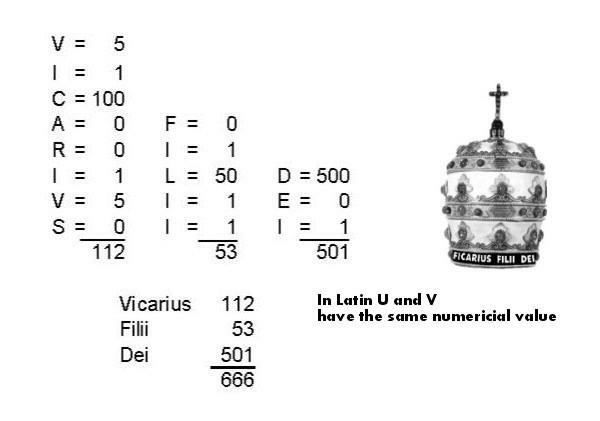 According to data in verse 17 and 18 gives the number of names 666th As in Latin letters have numerical value at the same time, you only add up. Calculation of the numbers can be found in cats in the photo gallery. This is a prophecy referring to the "Antichrist". The Greek word "Antichrist" means the one who puts into place "God's anointed." In other words "Antichrist" is an alleged representative of the Son of God - exactly what the pope is doing right! Hebrews 8:1-2 ​​- This is the main, what we speak, however, is that we have such a high priest who took the right hand of the throne of the Majesty in heaven. He is the servant of the true sanctuary - stand that man did not stand, but the LORD. Here we mediates sacrificial blood of Jesus his daily journey to the throne of grace, heavenly Father (John 14, 6,13,14: Romans 8:34), to which we can proceed any time without the mediation of another person, only through prayer in faith and trust in the conciliation blood of Christ. (Hebrews 4, 14 - 5:10) No man can be a mediator. In the Bible are described by those who accept the mark of the beast. There are those who keep God's commandments. They are the ones who received the mark of God, the seal of God, and they won over the mark of the beast. Revelation 14.12 - You need perseverance of the saints who keep the commandments of God and Jesus of faith. Revelation 7,3-4 - "Distress not the earth neither the sea nor the trees, unless you mark the servants of our God on their foreheads!" And I heard a number of the sealed one hundred forty-four thousand of them were identified from all the tribes of the sons of Israel. Revelation 15.2 - as if I saw the sea of ​​glass mingled with fire, and those who conquer the beast, over his image and over the number of his name. Mark of the Beast is in direct contrast with God's seal, because both must be placed on the human forehead. By understanding God's will reveal the essence of the seal mark of the beast. Ezekiel 9.4 - "Go through the city, walk through Jerusalem," said the Lord, "and set a mark upon the foreheads of those who moan and groan over all the abominations that are committed in the city." Deuteronomy 6,6,8 - Let these words which I entrust to you today, will remain in your heart. Bind them as a sign on your hand and as a band on the forehead. The Bible is God's sign of the marked face of those who refuse to attend the abominations and offenses against God's will. When Moses gave the Ten Commandments, God clearly indicated that these commandments must be a sign on the hand and forehead, that we wore them in mind (the sign on the forehead) and practice them (hand sign). But the beast wants to put his mark on our hands and forehead: it follows that the mark of the beast is contrary to God's commandments. Exodus 13.9 - And you will have a sign on your hand and as a memorial between your eyes, that the law of the LORD remained in your mouth, because the LORD brought you out of Egypt's mighty hand. Mark of the Beast is the opposite of God's sign - it means so transgression of God's commandments as God's seal - a sign his contract is found in God's ten commandments. Which commandment is the seal of God but sometimes inappropriate? And the beast which commandment for abusing their sign? 1st name of the legislator; 2 title of the legislator; 3 territory to which law applies. 1st name of the legislator: "The Lord"
2nd Its title: the Creator, "The Lord has made"
3rd territory to which law applies: "heaven and earth, the sea and everything in them." Exodus 20,8-11 - Remember the Sabbath day, to keep it holy. Six days you shall labor and do all thy work: but the seventh day is the Sabbath of the Lord your God. Thou shalt not do any work - you, your son, nor thy daughter, thy manservant, nor thy maidservant, nor thy cattle, an immigrant in your gates. In six days the LORD made heaven and earth, the sea and everything in them, but rested the seventh day. Therefore the LORD blessed the sabbath day and hallowed it. Exodus 31,13,17 - "Speak unto the children of Israel: Keep my Sabbath, because it is a sign between me and you throughout your generations, you know that I am the LORD, sanctify you. It is the eternal sign between me and the children of Israel. In six days the LORD made heaven and earth, but on the seventh day he rested and took a breath. " Ezekiel 20,12,20 - I gave them also have their Saturday to be a sign between me and them to know that I am the LORD that sanctify them. Hallow my Sabbath, whether a sign between me and you, you know that I am the Lord your God. Yes, Saturday is really a sign between God and His people! 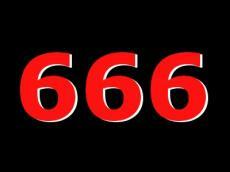 Mark of the Beast is the transgression of the fourth commandment is the Saturday, because it is a sign and seal his contract. God's warning clearly confirms our conclusion: by following God's commandments - including the fourth, on a Saturday - to avoid receiving the mark of the beast. Revelation 14,9,12 - Behind them, then flew a third angel, and a loud voice: "Joust If someone beast and his image and receive his mark on the forehead or on his hand, he also will drink of the wine of God anger, which is poured out without mixture into the cup of his indignation, he shall be tormented with fire and brimstone in the presence of the holy angels and before the Lamb. You need perseverance of the saints who keep the commandments of God and Jesus of faith. Already, Daniel wrote that the little horn of Daniel chapter 7, symbolizing the papacy, will try to change times and laws. Indeed, the formal designation Sunday as the new day of rest, unlike Saturday, the papacy touched a single commandment, whose content is the time: the fourth commandment, the seal of God's law. 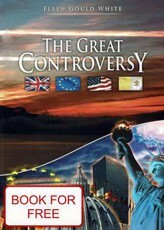 Mark of the beast will therefore observance of Sunday as a day of rest instead of Saturday, the 4th commandment of God. Mark of the Beast will be taken on the forehead or hand. The forehead symbolizes the decision, thinking, hand symbolizes human behavior. "In the Gospels or Paul's letters, nowhere in the entire Bible there is no mention of withdrawal from Saturday and Sunday provisions, therefore, this Sunday has taken place, because it established the Apostolic Church without the support of the Scriptures." "The church took the pagan philosophy and combined it with faith ... ... took over the pagan Sunday (Sun Day) and transformed it into a Christian Sunday. Indeed there is something royal in terms of the sun, it is an appropriate symbol for Jesus, Sun of Righteousness. It seems that the Church in these countries, he says - keep the old pagan name of this day, remains sanctified. And thus the pagan Sunday (Sun Day), dedicated to Balder became a Christian Sunday, sanctified Christ. " The word of God speaks clearly: The Ten Commandments, including the fourth, can not be changed. We have to follow exactly as written by God. Luke 16.17 - but rather of heaven and earth pass away, than to stop paying one point the law! Mark 7,7-9 - In vain do they worship me, teaching human teachings and commands. 'You have left God's commandments, but the tradition you follow. "Then he continued:" Really nice condemn God's commandment to keep your own tradition! Each of us must choose between human traditions and God's commandment: between Sunday, a sign of authority and the Beast Saturday, the 4th commandment, a sign of God's authority, which constituted the very beginning of human history. Currently, no one mark of the beast. Once created but the alliance between the papacy and the United States of America under the leadership of the Christian right-wing religious wing, the observance of Sunday will soon become mandatory for all. Mark of the Beast will be added to all those who fear persecution on Saturday and will refuse to keep Sunday holy. By refusing to worship the beast and receive his mark will put to the side of God. Our face will be marked with the seal of God and our name will remain written in the book of life. Fold your trust in Jesus Christ. If we desire to remain faithful to him, gives us the strength needed to do, especially if we have to choose between worshiping the beast and the blessing of her day of rest, Sunday, or worship of God and blessing His day of rest, the seventh day, Saturday. even if they received no mark of the beast, we see the danger on the horizon appears. Soon the observance of Sunday is required for each and for those who refuse, there will be difficult times. Please help us prepare for these days and now sanctify Your holy Sabbath, the seventh day Sabbath. We know that through the grace and power of the Holy Spirit can stay Those faithful in all circumstances, that our names were not deleted from Thy book of life. In the name of Jesus Christ we pray.